Meet other developers and users of Kubernetes. 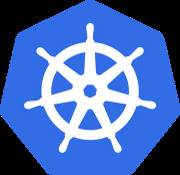 Kubernetes is Cloud Native Computing Foundation's orchestrator for containers at scale. It handles scheduling onto nodes in a compute cluster and actively manages workloads to ensure that their state matches the users declared intentions; runs on any cloud and any hardware. Any skill level is welcome; we’re all new to Kubernetes and we want to create an open, welcoming environment for other Cloud Natives. We use the #nl-users channel on the Kubernetes Slack (join here: http://slack.k8s.io/) to coordinate. We will be hosting a Cloud Native Day on the 14th of June in Amsterdam and we have news: Kubecon is coming to Amsterdam in 2020!